Giants are real, and they live among us. I’m not talking about the giants of fantasy but the real giants that have been around the west coast of the United States for thousands of years, the majestic sequoia. 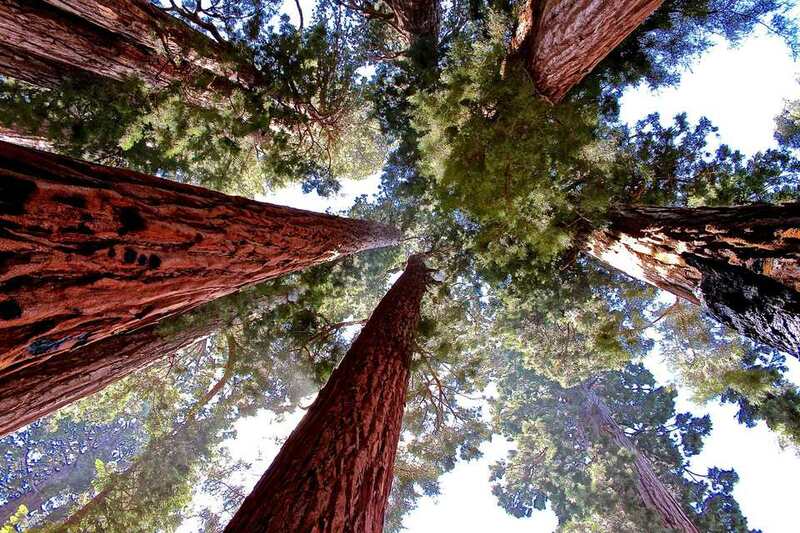 There is no better place to walk among these living giants than the Sequoia National Park. Let’s look at Sequoia National Park including a history, where to go and what to do, where to stay and the best time of year to observe some of the most abundant living organisms in the world. This 400,000 plus acre park resides in the southern part of the Sierra Nevada Range of California. Native Americans have lived in the area that would become Sequoia National Park for thousands of years, but its modern history began in the mid-19th century. Farmers and settlers began inhabiting the region around 1860 taking advantage of the land’s natural resources. Shortly after settlement, many conservationists became vocal about the ecological significance of the land including famed naturalist John Muir. On September 25, 1890, President Benjamin Harrison officially signed legislation that created the protected land of Sequoia National Park, making it America’s second oldest in the National Park system. Before you run off to book a spot at Sequoia, you should know that there are currently no campsites in Sequoia National Park that provide utility hookups, so it’s dry camping or no camping. There are a few campsites in the nearby vicinity that are made to accommodate RVs. There are a few choices in nearby Three Rivers, California with Sequoia RV Ranch being a popular option. You also have a few options in Badger, California as well such as Sequoia Resort. Take care to book any campsite well in advance as reservations near Sequoia fill up fast. The sheer scale and grandeur give RVers and tourists plenty to do and see at Sequoia National Park. If you only do one thing while, at Sequoia, it should be seeing the General Sherman Tree. Not only is the General Sherman tree the most massive tree on earth, but it’s also flat out one of the largest living organisms on the planet. We are guessing you’ll have at least a few days to see more than one tree so here are a few of the more popular activities. For most people, a hike along the Giant Forest is not too strenuous, there are several trails available, but the Congress Trail is a great loop to walk among these living giants at only two miles. There are several other trails and hikes available, from strolls to strenuous hikes meant for advanced hikers. If you want to push yourself, you might attempt to summit Mt. Whitney, at 14,505 feet Mt. Whitney is the tallest peak in the lower 48, only advanced and experienced mountaineers should attempt this climb. If somehow the giant sequoia isn’t fascinating enough, you can check out tours of Crystal Cave, a unique geological cavern located in the western part of the park. If you’re one for scenic drives, then you won’t be disappointed at Sequoia offers several options such as Generals Highway, Kings Canyon Scenic Byway, Majestic Mountain Loop and more. This is a tough one as all seasons provide a slew of activities at Sequoia. If you want to beat the crowds and can handle some cold season camping, then you can go to Sequoia in the winter, which is tolerable. If you are okay with crowds and prefer excellent weather than summer is your best option. Want a good balance between crowds and weather? The shoulder seasons of spring and fall will be your best bet. Make sure to plan as booking a trip to Sequoia can be difficult if you wait until the last minute. Go with family, friends, or go by yourself and experience the magic of Sequoia. What Are the Best Apps for a Yosemite Vacation? How Do You Get a Marriage License in Alameda County?